Love is war. At least to some girls at Jefferson Middle School -- like Lacy Wallace. 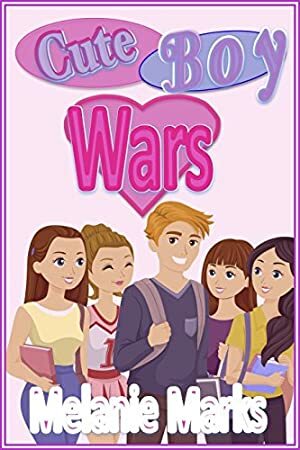 When another girl catches her crush's interest, the war is on. Big time. Meanwhile in this middle school novel, Sara is trying to keep a distance from the school heartbreaker, Dane McGraw. But Dane is hard to resist -- especially when he's set his flirting, tempting heart on winning Sara's. But Sara is in love (maybe, sort of) with her sweet boyfriend, Paul. However, while Sara is avoiding Dane, Paul seems to be avoiding her. What's up with that? This book used to be titled: "Love... Maybe... Wars." Log In to track Melanie Marks on eReaderIQ. to be notified each time the price drops on any book by Melanie Marks. to stop tracking Melanie Marks. We started tracking this book on December 6, 2013. The price of this book has changed 16 times in the past 1,962 days. The lowest price to date was FREE last reached on February 2, 2019. The highest price to date was $2.99 last reached on February 3, 2019. This book has been $2.99 9 times since we started tracking it.